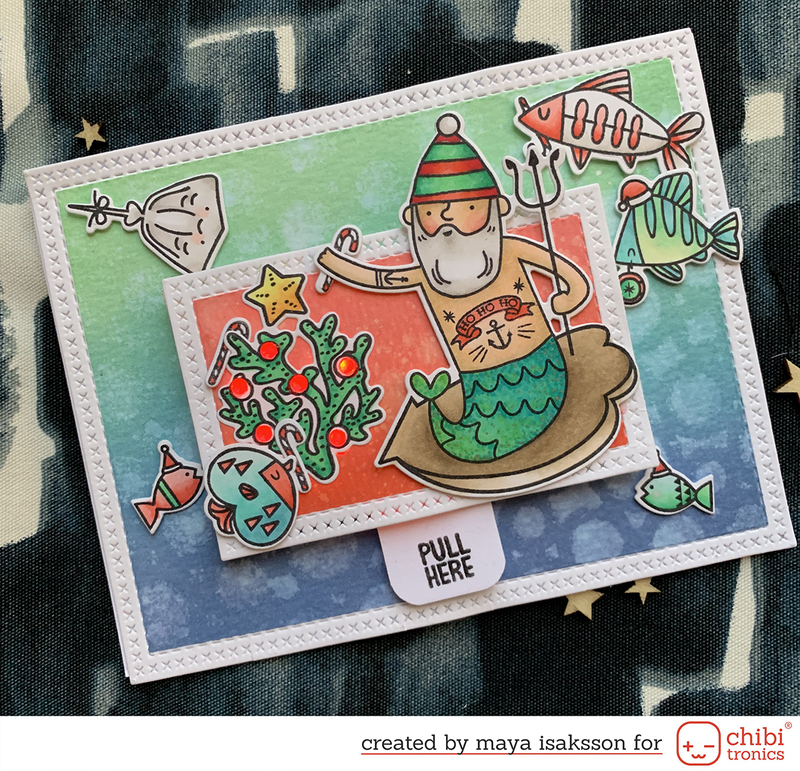 This is another creation for Svensk Scrapbookings CC. This was a challenge for me since it was mixed media with a winter theme. It was supposed to be snowy and with some fabric (not ribbon). I made a LO with some different medias: mist, distress stains, distress ink, gel pen, stickles and some gesso. It is really glittery from all the stickles but the pictures don’t show it.. It looks much better in person and I kind of like how it turned out even though I did use some foul language while making it. I am not a bog fan of randomness and stickyness ;-) Also I have a problem creating winter themed creations, I don’t know why. I guess I hade some kind of winter overdose when I was a kid growing up in the north of Sweden. I do love white winters now, after too many gray rainy ones here, but I’m not feeling the urge to get a lot of winter themed products and have vitually no good pictures to use. This one is of our garden taken from my kitchen window, I love to see the seasons changing in the big apple tree.